You can add and remove platforms to and from projects. 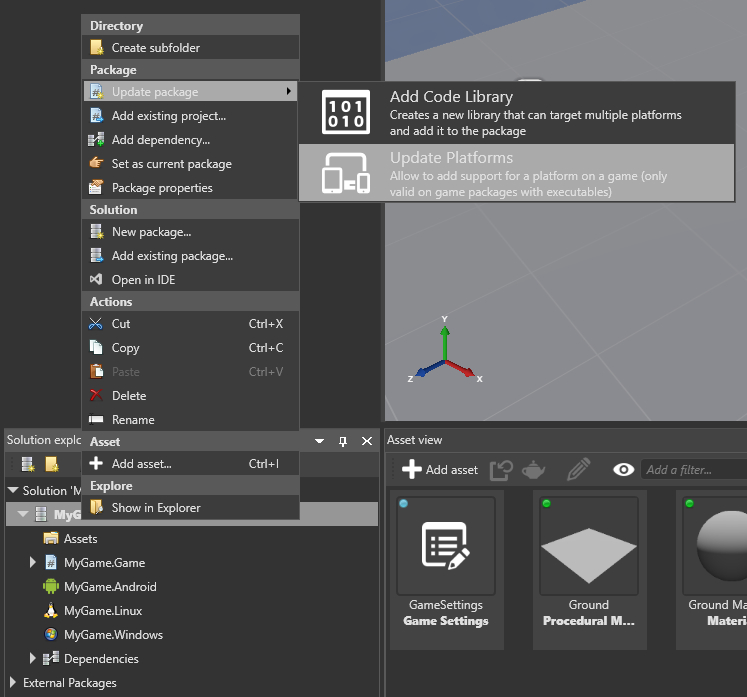 In the Solution Explorer (default bottom left), right-click the project and select Update package > Update platforms. 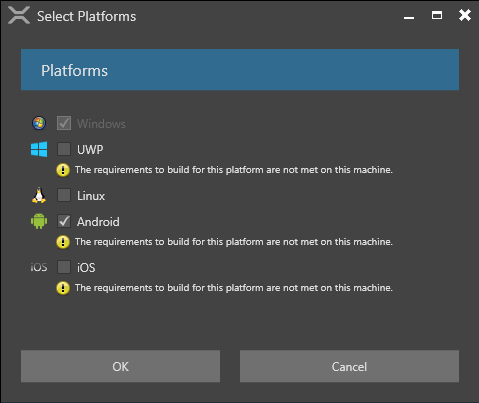 The Select Platforms dialog opens. Select the platforms you want to support and click OK.
Reload the assemblies by clicking the Reload game assembles button in the toolbar. The supported platforms are updated. To refresh the platforms list in the toolbar, restart Game Studio.